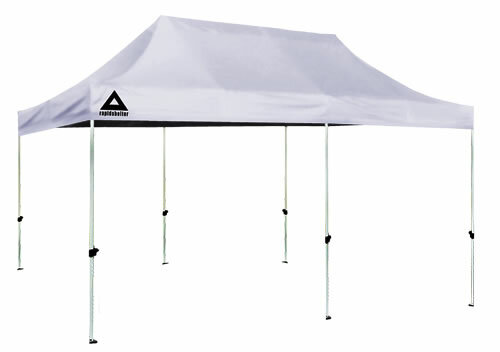 Our Rapid Shelter (RS) is strong, durable, lightweight, easy to set up and convenient for almost any event. The RS comes in a variety of colors, has a waterproof and fire retardant top and can adjust height with a simple adjustment of each leg. The RS comes with a heavy-duty carrying bag so whether you want the 8 x 8, 10 x 10 or 10 x 20 size, you will be able to transport your shelter wherever you need to go.